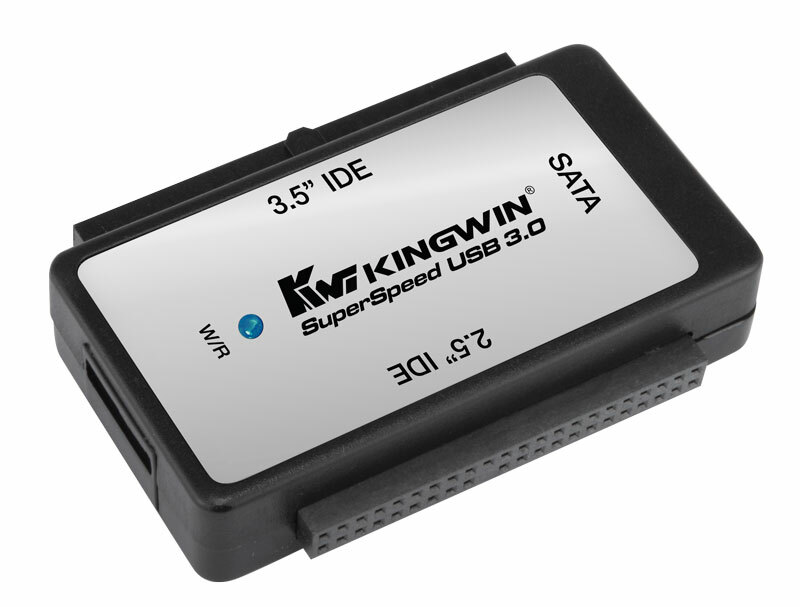 Adapter USI-2535SIU3 | KWI Technology Inc. 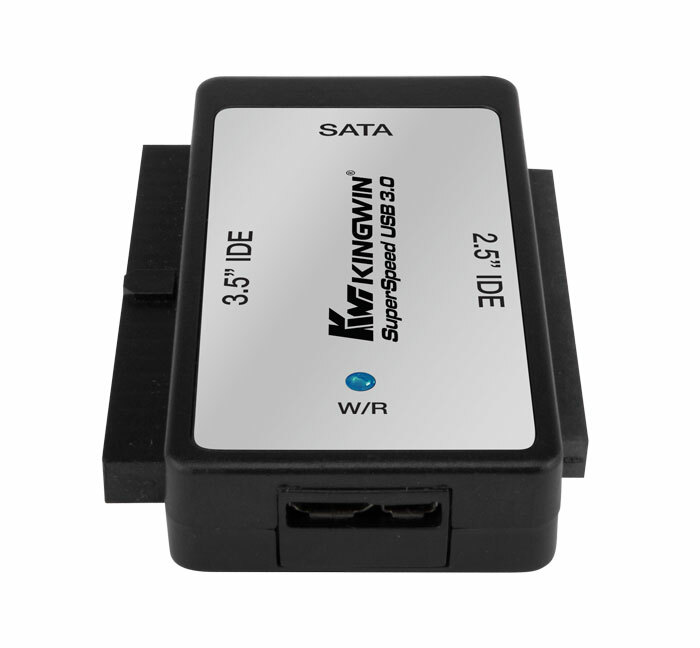 Your portable, ultra-compact, and lightweight SuperSpeed USB 3.0 to SATA & IDE Adapter that lets you easily attach an external SATA or IDE hard drive and instantly access the drive from your PC thru the USB port. 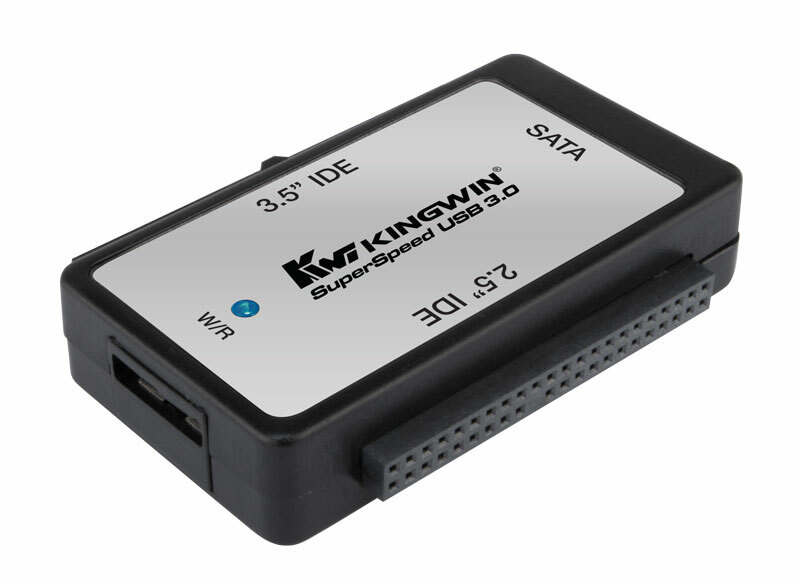 The EZ-Connect adapter can support either SATA (SSD or HDD) or IDE hard drive in 2.5”, 3.5”, or 5.25” form factors and up to 6TB disk size. 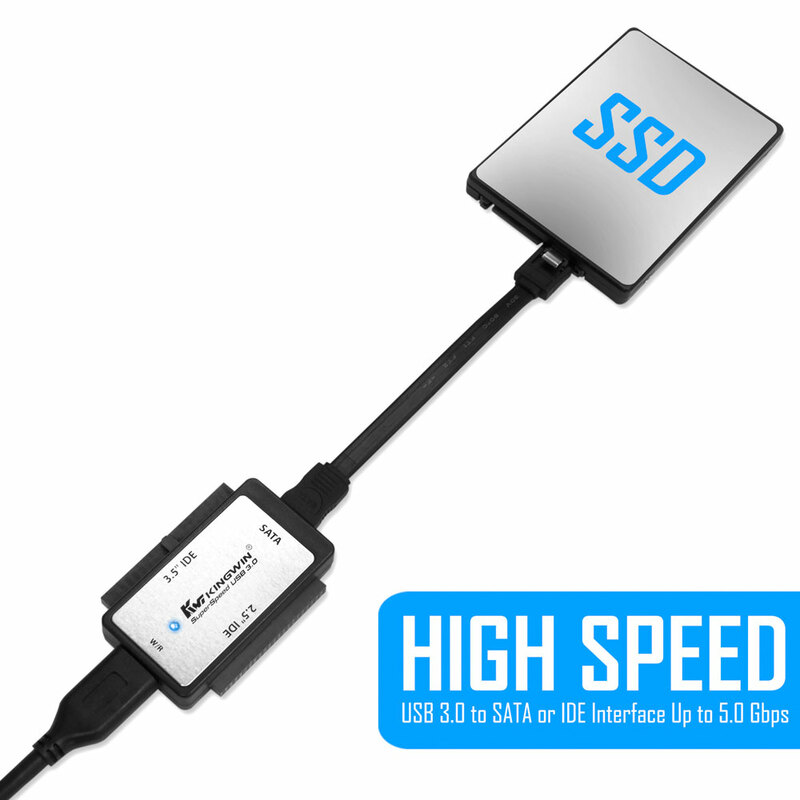 SuperSpeed USB 3.0 interface has a maximum data transfer speed of up to 5Gbps offering 10X faster performance over Hi-Speed USB 2.0 interface while still retaining backward compatibility and interoperability with all PC USB ports, hubs, and devices. 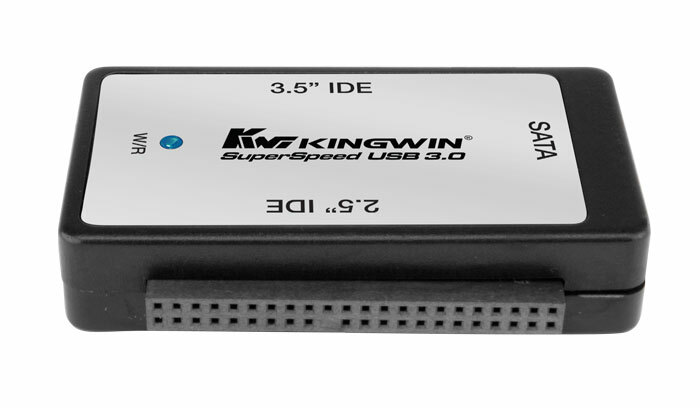 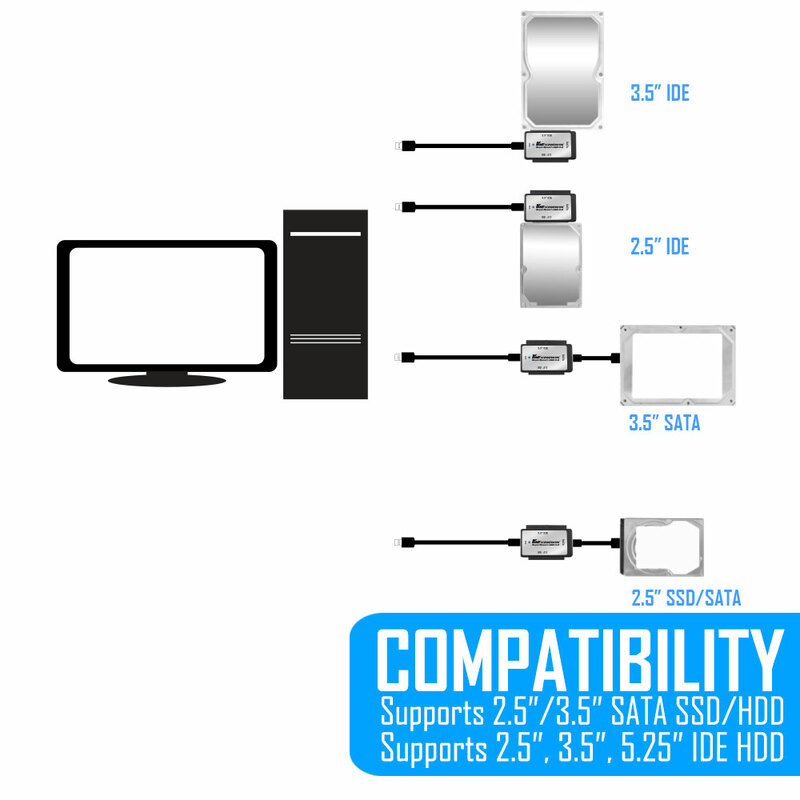 SuperSpeed USB 3.0 also works well with latest Windows 8 and Mac OS X and offers easy plug and play capabilities with no driver installation required. 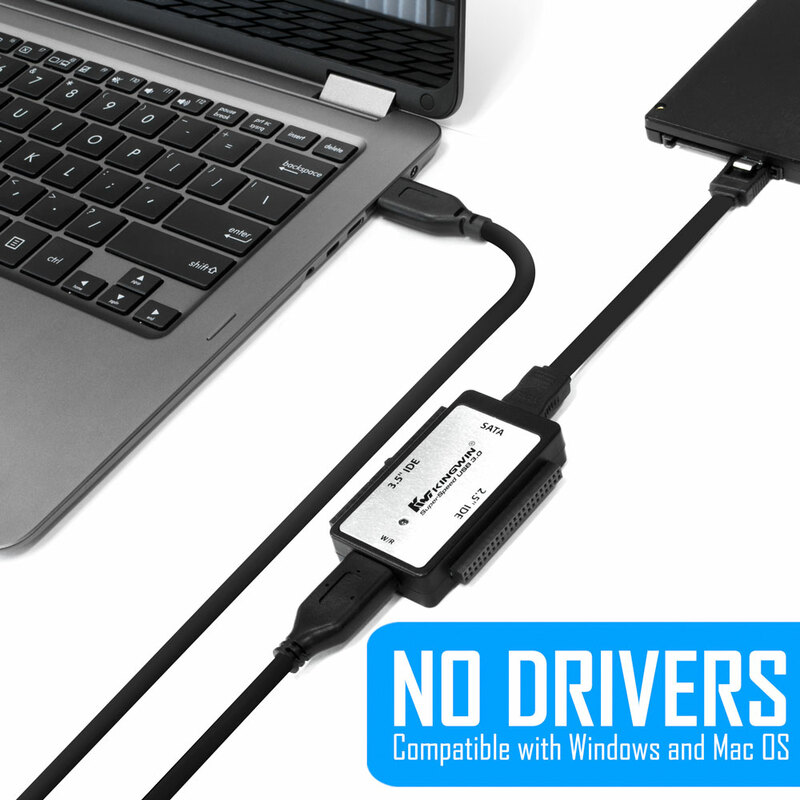 Connecting the drive is simple and easy. 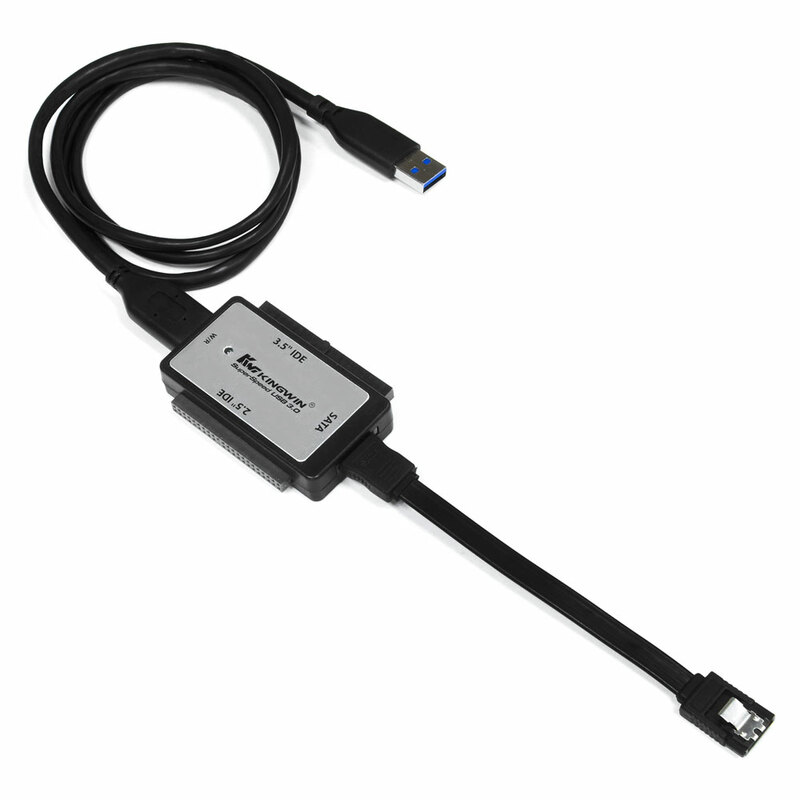 The EZ-Connect 3-in-1 drive interface provides a 3.5” IDE connector on one side and a 2.5” IDE connector on the other side for attaching IDE drives, and a SATA connector in front to attach the SATA data cable and the 2.5”/3.5” SATA drive. 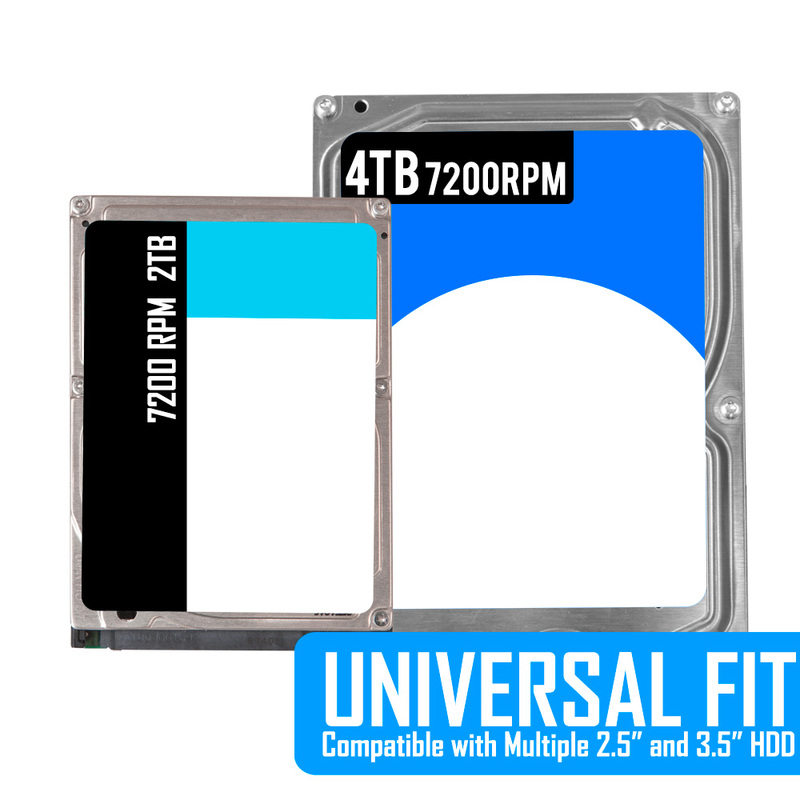 (Note: You can only attach one drive at a time). 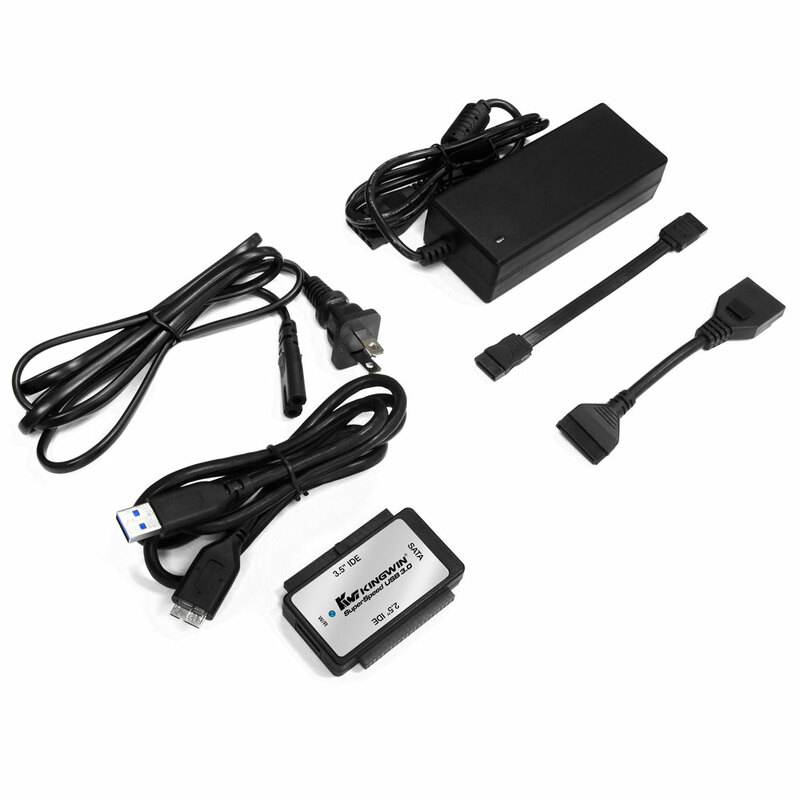 External AC/DC power adapter and SATA power connector are included to supply power to the hard drive if needed. 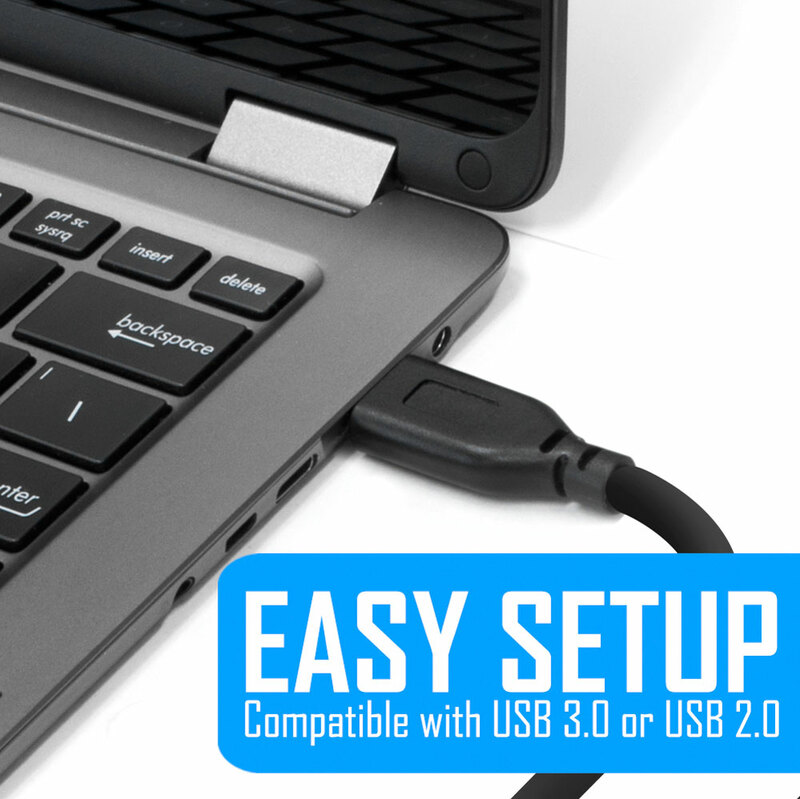 Simply plug the USB cable into your computer and the drive is automatically recognized. 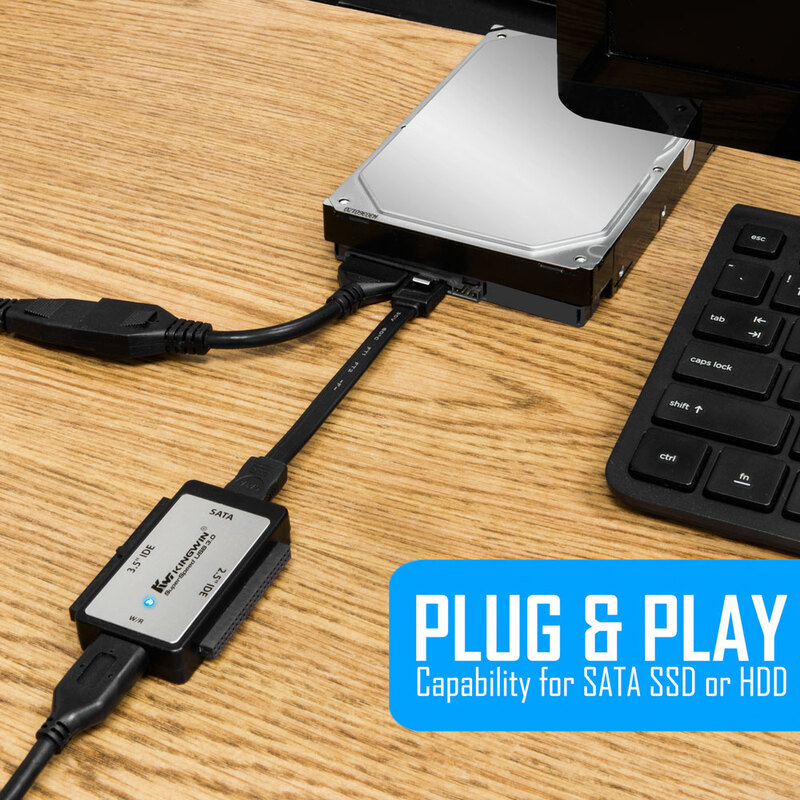 You can also hot-swap SATA hard drives while the USB is plugged into the computer. 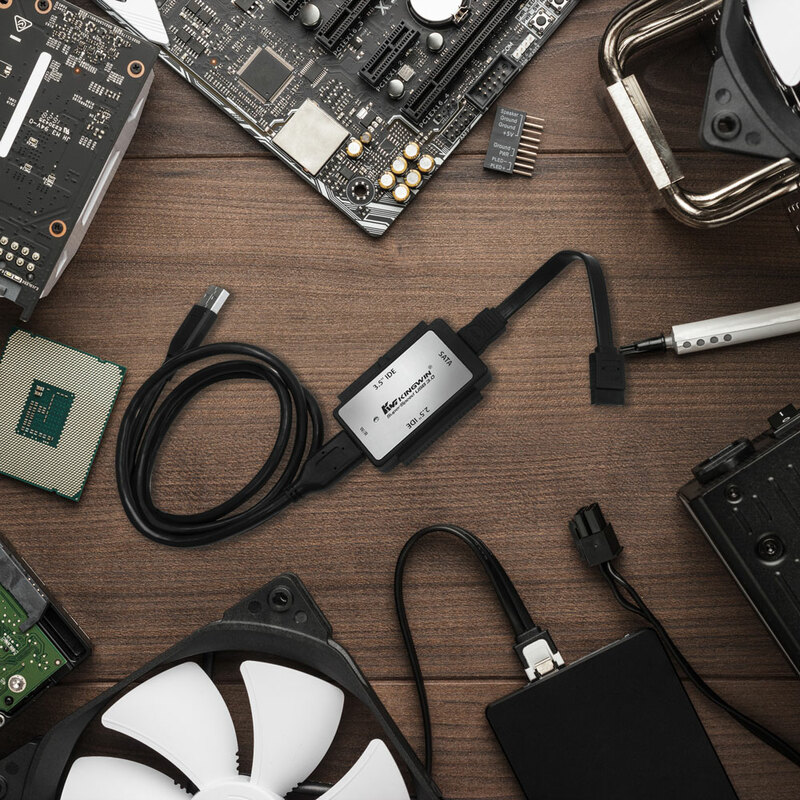 The EZ-Connect is your all-in-one solution for connecting external SATA or IDE hard drive.